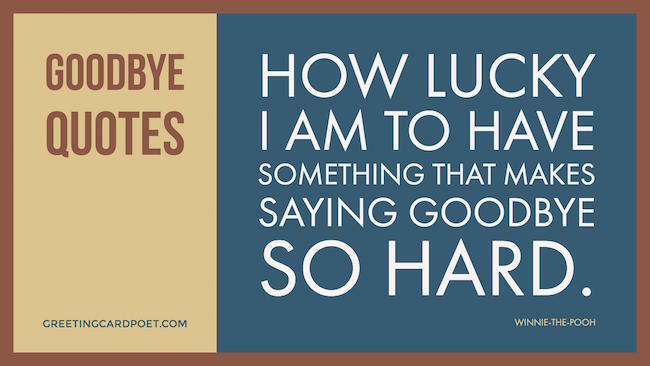 Many folks think that goodbye quotes tend to be sad, and some are. But, some are more positive and speak to the good times enjoyed and the promise of meeting again. 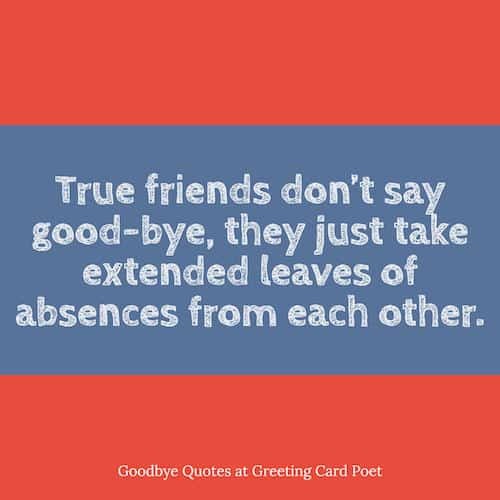 Saying farewell can be quite tough to say, especially when it is someone close to you. Everyone faces these moments at different times in their lives. Sometimes you have to say goodbyes to your friends and sometimes to your colleagues. 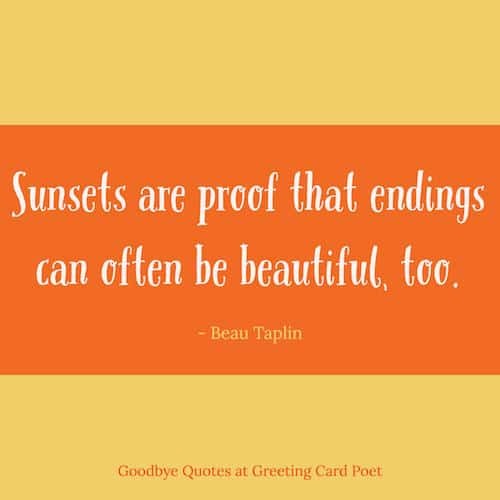 Saying goodbye to your partner can be the some of the most painful things in your life. Whenever hearts are involved, departures can be the hardest. Your farewell marks the end of the glory days that our team has seen. Because you are the best boss there could ever have been. Goodbye. A memory lasts forever, never will it die….true friends stay together and they will never say goodbye. 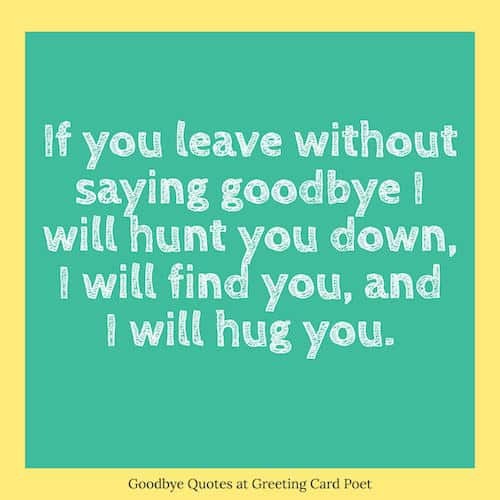 If you leave without saying farewell I will hunt you down, I will find you, and I will hug you. You may have left for greener pastures but in doing so, you have made us go blue. Goodbye boss, we will miss you. NEVER in my life have I EVER thought that I would want to work with a colleague FOREVER – until I started working with YOU. Goodbye, I will miss you. I want to hunt down the head hunter who hunted you and tell him that he has managed to hunt the best hunt ever. Adios my friend. You have always been… more of a friend, less of a colleague, more of a leader, less of a boss. Farewell to a caring leader. As a colleague, you are a shield that protects us from the boss’ rants and a weapon that helps us in our war with monthly targets. So long. On the outside, I may be smiling while I wish you goodbye. But on the inside, I am desperately praying that you will quit your new job and come back soon. I Know That You Are Going To Get An Awesome Salary In Your New Job But There Is No Guarantee That You Will Get Awesome Colleagues Like Us Too. Do You Still Want To Go? Be well. The departure of a long and important work is always more sad than pleasing. Goodbye my friend. Nothing,” said Piglet, taking Pooh’s hand. “I just wanted to be sure of you.” “How lucky I am to have something that makes saying goodbye so hard. 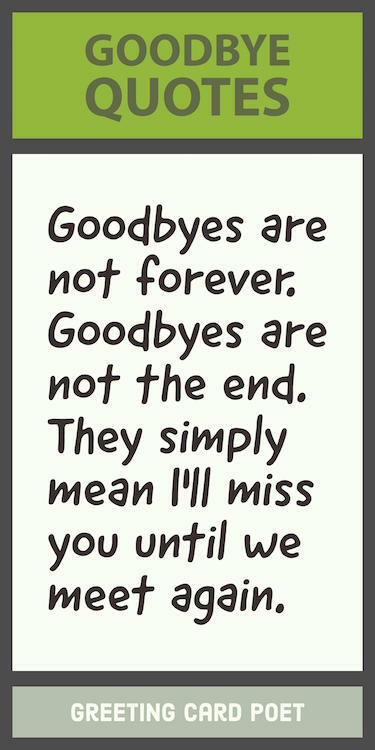 Tip: These goodbye quotes make great captions on social media. And the relationships that happen become so intense, deep, involved and complex and really hard to say goodbye to. The hardest part of the show is saying goodbye when it’s all done. It really breaks you. Have some really good quotations you want to share? Let us know via the Contact page please. Thanks.